Great singing tips live with Joy! 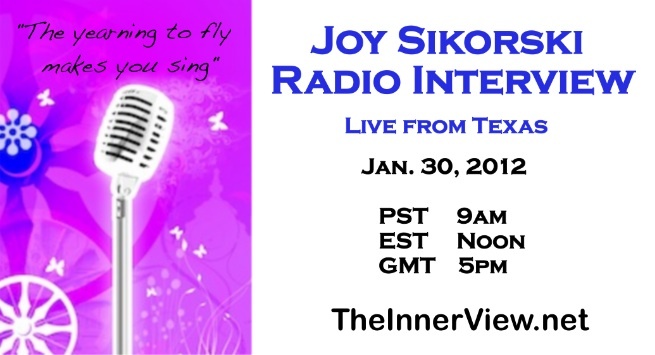 Tune in for FREE to hear Joy Sikorski interviewed by Angie Dutton of Inner View Internet Radio. Look at the time below on the flyer to see what the time will be for your time zone. Some of my original music (never before heard by the public) will be aired on the show. We will talk about singing, singing mindsets, about free your voice quick tips, fearless voice power and Singing Through Life!